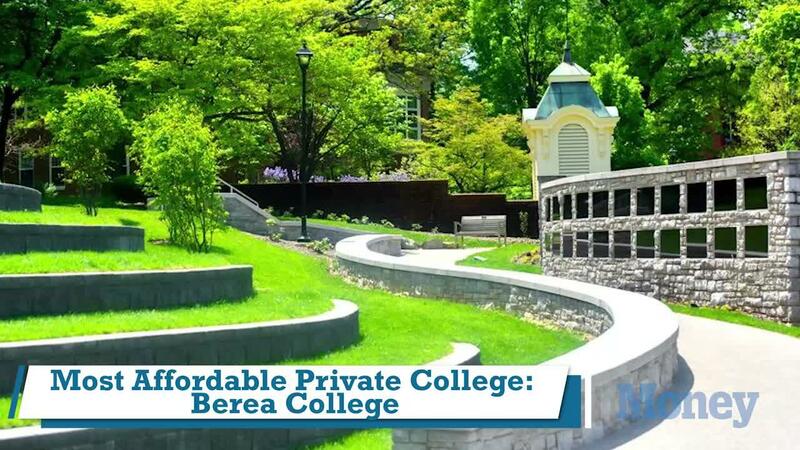 There's a lot of debate about the pros and cons of private versus public colleges. But when you get down to the numbers, many great schools exist both categories. Business Insider expanded its scope to the top 100 schools and then filtered the ranking to highlight the best public institutions in the country — many of which provide an excellent education at a very low net cost. The University of Virginia topped the list, earning a top 10 spot on the main ranking as well. University of Michigan at Ann Arbor and University of California at Berkeley rounded out the top three. Chartered by King William III and Queen Mary II of England in 1693, the College of William and Mary stands as the second-oldest college in America, behind only Harvard. The school welcomes students from all over the world, including 49 US states and 68 different countries. Students end up exploring the world as well: nearly 50% study abroad during their tenure at the school. 13. University of California, Santa Barbara. UC Santa Barbara is a global leader in science research and home to a well-established environmental studies program that’s had profound impact on the local, state, and national levels. Located on a 1,000-acre stretch of central California coast and serving about 19,360 undergraduate students, UCSB’s campus is the site of eight National Science Foundation-sponsored institutes, including the Southern California Earthquake Center and the Kavli Institute for Theoretical Physics. Located halfway between New York City and Washington, D.C., University of Delaware is a place for students who want to experience a little bit of everything. The research-focused university was the first to launch a study abroad program when a group of UDel students set sail for France in 1923, and now over 30% of UDel students study abroad every year. The flagship school in Texas’ collegiate system, UT Austin is home to over 51,000 students and 3,000 faculty. Undergraduates can choose from over 170 majors in the 13 different schools that make up the university at large. Oscar winners Matthew McConaughey and Marcia Gay Harden are both former Longhorns. The top public school in New York to make the list, Binghamton’s mission is to be world wise, innovative, and engaged. Students at Bing can choose from over 100 countries to study abroad, and its “Language across the Curriculum” program allows students to study for their courses outside their native tongue. UW’s flagship campus in Seattle — the best college in the state of Washington, according to our ranking — is home to about 28,750 undergraduate students. The school boasts one of the highest college research budgets in the country with more than $2.5 billion in combined federal and non-federal funding and sponsored grants. A UW education is easily accessible, too, with an average annual net cost of attendance just under $12,000. The University of Florida prides itself on its research facilities and encourages all students to partake, even during their freshman and sophomore years. For the 2015-2016 school year, UF received a record $724 million in funding for research projects. The school is also dedicated to creating a sustainable environment for its students; it aims to become carbon neutral by 2025. In keeping with the University of Illinois at Urbana-Champaign’s spotlight on research, its on-campus Research Park provides a space where tech-focused companies can develop new products and student interns can gain real-world experience. The space houses more than 100 companies, including Anheuser-Busch InBev and Dow Chemical, and it also serves as an incubator for early-stage startups. The flagship campus of the University of Maryland, College Park is located just 4 miles from the US capital. The school's notable alumni span industries and include Google cofounder Sergey Brin, Under Armour founder and CEO Kevin Plank, noted broadcast journalist Connie Chung, and comedian and "Seinfeld" creator Larry David. One of the oldest public universities in the US, the University of North Carolina at Chapel Hill offers 78 bachelor's degree programs, as varied as nutrition, Slavic languages, and political science. Students can also engage in the community around them through the Carolina Center for Public Service, which connects students with service opportunities through courses such as "Restoration Ecology" and "Community Journalism." Over the past 100 years, the University of California at Los Angeles has produced 13 Nobel laureates, 12 MacArthur Fellows, and a host of athletes who have won more than 250 Olympic medals combined. UCLA has made an impact in the business world as well, with more than 140 companies originating from technology developed at the school. UC Berkeley came in as the third-best public university on the list and is the oldest of the 10 University of California research colleges. The school is a top academic institution and an athletic powerhouse. The Cal Bears have an unmistakable presence at the Olympics, sending 16 student-athletes to compete for Team USA in the 2016 Olympics in Rio de Janeiro. Before this year's games, Berkeley students and alumni had won a combined 103 gold medals. Known for a stellar undergraduate business school, the University of Michigan counts business, psychology, and economics as its most popular majors. UM also reports that about half of all students who received a bachelor's degree go on to pursue a master's within four years of graduation. The school's notable alumni include New England Patriots quarterback Tom Brady and Google cofounder Larry Page. The highest-ranked public school on our list, the University of Virginia was founded by Thomas Jefferson in 1819. UVA first-year students can choose from four undergraduate schools: arts and sciences, architecture, engineering, or nursing. UVA also has a "work hard, play hard" mentality. The university boasts more than 600 student clubs and 25 varsity sports.